Value for money embroidered bodywarmers. 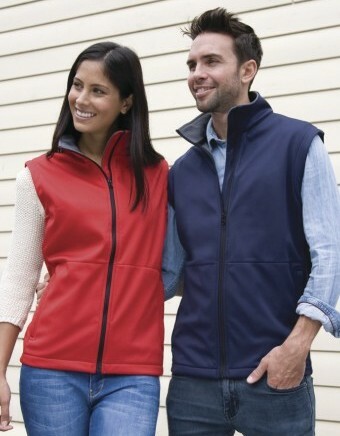 Display your logo in your company colours, on a versatile bodywarmer available in a choice of fabrics! Call us today on 01773-550614. Bodywarmers are available in a wide range of styles, sizes and colours. Royale Leisurewear supply all the main brands at value for money prices. Embroidered with your company logo, a bodywarmer is the ultimate outer layer to increase your brand awareness. Bodywarmers are also a favourite with walkers and sport such as fishing. Embroidery positions on your bodywarmer does depend on where pockets are positioned, however we can advise you on this. Bodywarmers with a selection of useful pockets. Royale Leisurewear’s high quality but affordable embroidered bodywarmers are available in sizes from S – 4XL. 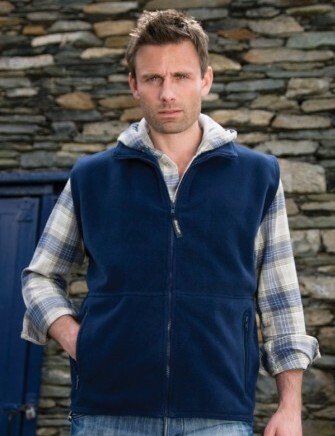 Choice of bodywarmer styles may be limited for larger sizes, please ask and our experienced staff will be happy to help.